I have been in Germany visiting my daughter and her family and new baby! I am regularly communicating back to New York to my wife and my colleagues at work. The TimeZone is set for German local time (GM+1)and New York (EST) as the second time zone. Now I need a Datograph to time the autos on the autobahn! 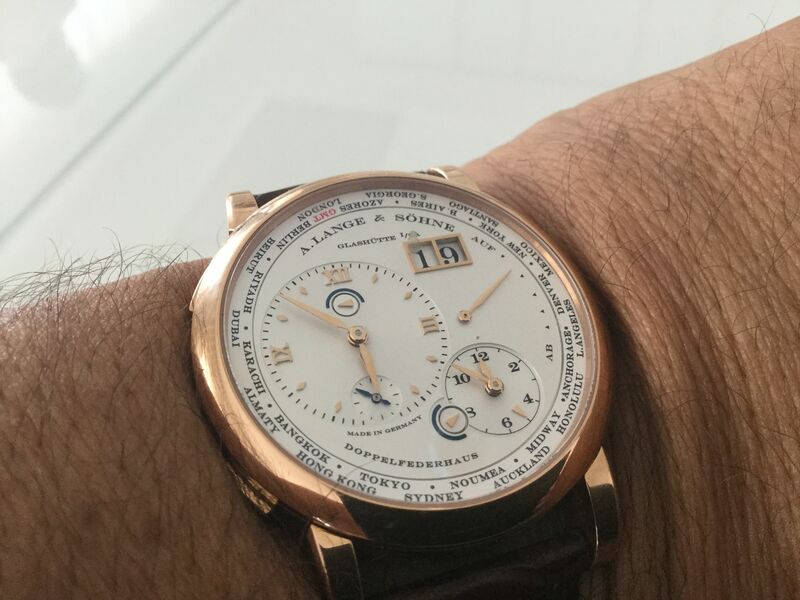 The Lange watches rival any others for quality and craftsmanship. One day I will visit Glashutte.